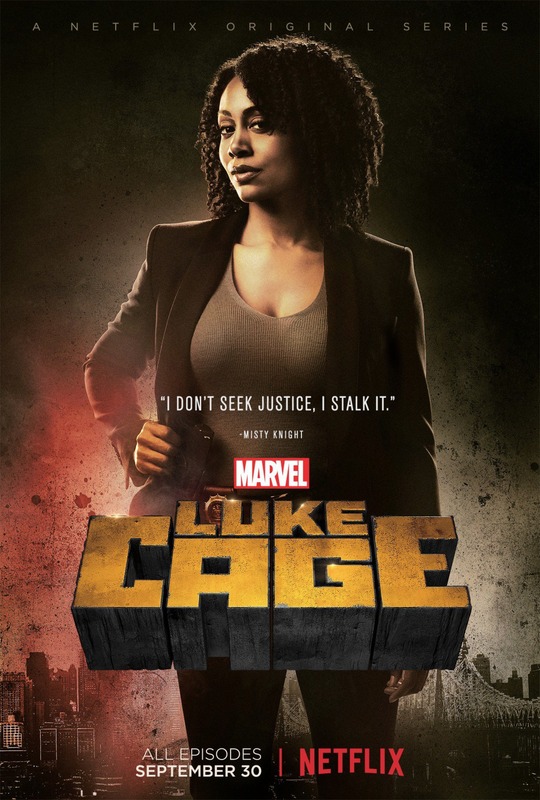 The Blot can’t believe Luke Cage, Marvel’s newest Netflix original television series, is almost here! 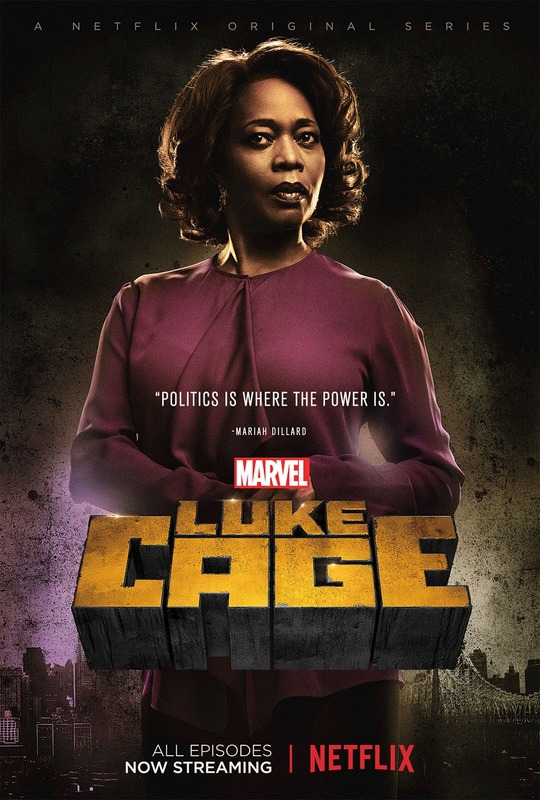 And with the show set to debut on Netflix next week, the series’ marketing is kicking into high gear. Check out this fantastic new set of character TV posters featuring the show’s cast. 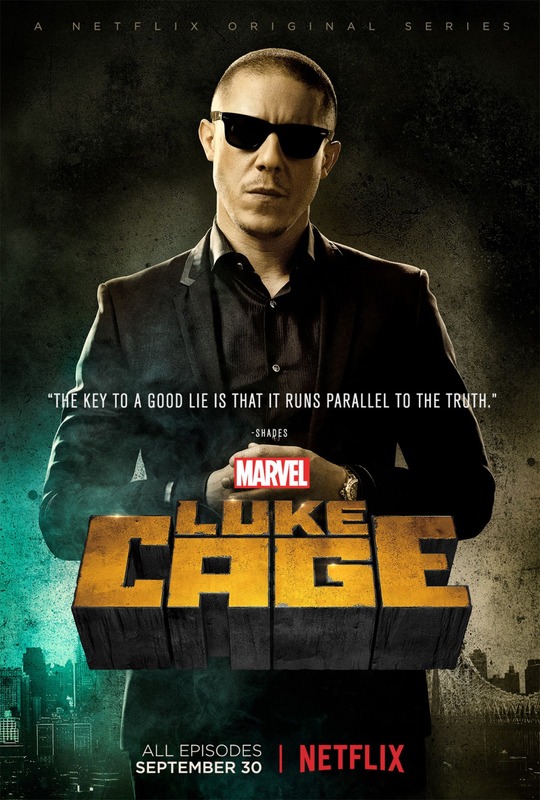 What a stacked line-up, which includes one of my favorite actors, Sons of Anarchy’s Theo Rossi! 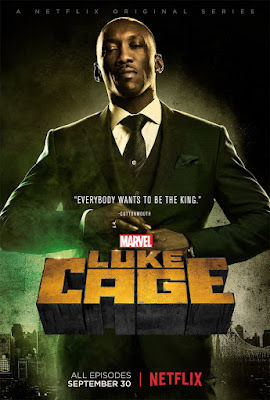 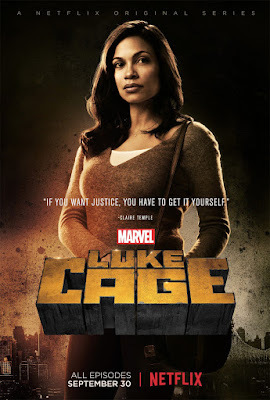 Marvel’s Luke Cage stars Mike Colter as Luke Cage, Simone Missick as Misty Knight, Mahershala Ali as Cottonmouth, Theo Rossi as Shades Alvarez, Alfre Woodard as Mariah Dillard and Rosario Dawson as Claire Temple. 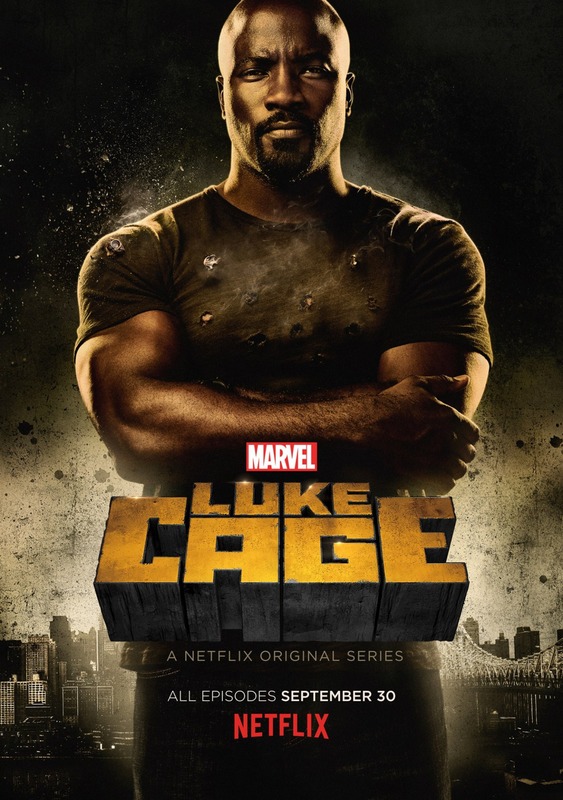 All of Marvel's Luke Cage Season 1 episodes will debut on Netflix on September 30, 2016.